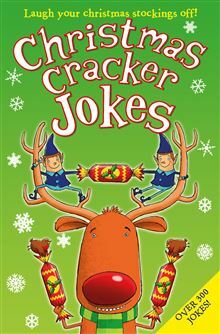 A cracking collection of hilarious jokes to keep you chuckling not just during Christmas and the festive period, but the whole year round. What do you call a boy trying to get the creases out of his clothes at the North Pole? What goes Ho Ho Swoosh, Ho Ho Swoosh? Father Christmas in a revolving door! Waiter, waiter, my turkey has gone off.